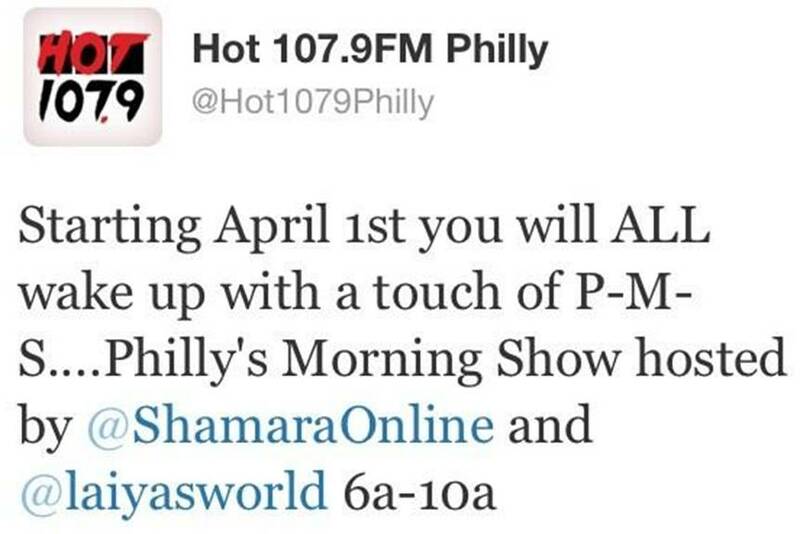 Radio One Philadelphia’s HOT 107.9 announces its brand new live and local morning show called Philly’s Morning Show “P.M.S” hitting the airwaves this Monday, April 1, 2013 at 6:00am. 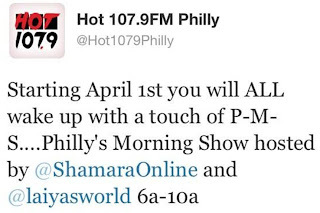 P.M.S will be hosted by Philly’s native daughter, Shamara, and her co-host a long time veteran of the Philadelphia airwaves, Laiya. 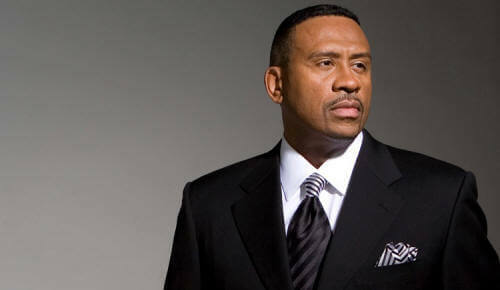 The show will cover current events, pop culture mixed with trending topics on social media while playing the hottest hit music every weekday morning Monday through Friday from 6:00am – 10:00am. Radio One Regional Vice President, Christopher J. Wegmann states “Our listeners told us they wanted HOT 107.9 to be live, local and fun while playing today’s best music in the morning, they are getting that and so much more!